Why is Begging and Economic Dependency Normal in Ethiopia? Addis Ababa, June 15, 2011 (Ezega.com) - I came across incidents that forced me to think about our culture recently, about issues related to begging and economic dependency. The first occurrence was at the bank. There is this middle-aged man I know just outside the church I go to every Sunday morning. As far as I remember going to that church, this man is part of my memory. He always sits outside the gate on the stairs wearing dirty cloth and no shoe and with his heartbreaking sad face telling everyone that he has some sort of cancer and he is told by doctors that he might not live long. He adds that he didn’t have his breakfast and he is starving to death. Many people give him money and sometimes food. I met this man last Tuesday at the bank. I couldn’t believe it was him until I heard his voice which is the voice I hear every Sunday morning. For a change the man was dressed clean and his sad face was gone. He was talking to the bank teller that he is in a hurry and he wants to deposit his money fast. I lean over to see how much he was depositing and it was three thousand Ethiopian birr. For a man who claims not to afford a breakfast, that was quite a large amount to deposit in a bank. After he left I asked the bank teller if he knew him. He told me he is their regular customer and everyone in the bank knows he is a beggar. “Begging is not a solution for temporary problems in Ethiopia. It is a profession,” the bank teller said. On the same day, thinking about how begging can be taken as a way of life, I went to meet my friend for a coffee. She was with a guy whom I never met before. He looked quiet stylish. After she introduced us, the guy went to use the bathroom. Impressed by his latest brand new shoes (which probably cost him a lot more than the average Ethiopian monthly income), I asked her what he does for a living. She told me that his two sisters live in Sweden. I couldn’t understand how this can be what he does for a living. I do understand what she was trying to tell me, which is he lives off his sister’s money. So I asked her if she considers him as a beggar. We couldn’t agree on this point. What we could agree on is we both know lots people who considers their rich father or relatives abroad as means for living. The other story will be the story of a family who lives in my neighborhood. This family consists of a healthy young couple and twin children. At the Kebele administration there is a charity assistance given to children who lost their parents to HIV/AIDS. This couple forges the death of the father by witnesses just to get the charity for their children. Let me add one more. My friend, who works for Amhara Regional Television told me this story. He went to report on the life of the farmers in one of the remote places in the region. What he witnessed shocked him most. The farmers get wheat as a support from US AID. To get this wheat they walk all day because the station is too far from where they live and there is no transportation. They walk two days in general to get the wheat and they go back carrying the wheat on their back. After they return, they can’t move their body for a week from the long walk and the heavy wheat that is particularly hard on their emaciated body. They do this while they have a river and a fertile land just a walking distance from their homes. All this got me into thinking about us and our attitude towards dependency. Why is it ok for us to live off other people? Why don’t we consider this shameful, this sense of dependency as a person, as a family, and as a country? Which part of our history, life style and culture thought us begging is an ok lifestyle. As Ethiopians we claim to take our pride and independence a little too serious. Our ‘history’ says that our fathers chose death instead of being enslaved or rather than being considered anything but human. But, in practice, Ethiopia is famous for its beggars than anything else. If you ask any tourist or foreigner what they remember about Ethiopian people once they visited the country, beggars is the answer in most cases. Young, old, children, men, women all beg shamelessly on a day light as if it is an acceptable social activity. And the rest of the society doesn’t seem to mind since it will give them money or food. In addition to those who officially take begging as a career, there are many who depend on their family and relative for a living. Especially in a family where siblings, close relatives or parents are in Europe, US or Middle East, working doesn’t seem to have much of an importance. In addition to individuals, the government has its own comfort zone in depending on others when it comes to survival. For example, recently, the Council of Ministers endorsed an unprecedented budget of over 117.8 billion birr for approval to the House of People’s Representatives for the 2011/12 fiscal year. It was announced that while over 60 billion birr of this total budget will be sourced from local resources, the remaining, almost half of it, is expected to be mobilized in the form of loans and grants from Ethiopia’s international partners. There is even a saying in Ethiopia nowadays that even the government itself is a beggar and economically dependant so there is no need to be surprised by the number of individual beggars in the country. Anyone of us can be a witness on the fact that getting a grant is breaking news in Ethiopia. This is not to disregard the government’s effort to fulfill the countries needs. Rather, it’s to highlight how big the problem of dependency is in Ethiopia. The scary thing is, instead of declining, begging and economic dependency in Ethiopia is increasing at alarming rate with sophisticated style. In addition to countless number of citizens you see on the street begging, we are having expert beggars who invest time, skill and money to create ways of deceiving the public. Just a couple of months back, outside one church, a few young men were crying with a coffin in front of them claiming that their friend died that morning and they don’t have money to send his body to his parents who they say lived in Tigray. Everyone who passed by that road that morning gave them money and cried for the poor man who died this way. Finally, the police, considering it was immoral to use a dead body like that, asked them to move the coffin away. When they tried to pick it up it wasn’t as heavy as the police expected it to be. The suspicious police asked them to open it and it was empty. You can imagine how many hours these people thought of creating such a scam. They bought a coffin, they cried all morning just to trick the public. I think this is the direction we are heading when it comes to begging. Begging and economic dependency on the uphill struggle of others is understandably a complex issue in Ethiopian context. It has a religious, cultural, historical, political and economic elemnts which makes it difficult to find a clear cut point that will satisfy everyone. In addition, the fact that the issue is wide and deep might make it difficult to be assessed in a short article like this one. However, taking the seriousness of the problem into account, it must be discussed by raising the right questions as often as possible and to come up with solutions. Is poverty the sole reason for people to engage in begging and want depend on others? The answer to this question may help explain whether we can justify the fact that a considerable number of working people in the country is economically dependant as a result of the massive poverty in the country. Poverty is the reason many beggars use to justify their action. Farmers refer to the twisted land policy that left them landless, or to the weather that they say is not suitable for agriculture as a result of climate change. The city beggars talk about lack of employment opportunities, infrastructures, education and training and etc. which is directly or indirectly related to poverty. However, there is a strong reason that poverty cannot be the sole reason for these social crises. To see this, we don’t have to go far. Each and every day we witness people in the same situation as the beggars or dependants work hard to survive and live as dignified life as possible. I am certain that most of us know persons with physical disability or incurable diseases who work and fight to stand on their won two feet, young boys who shine shoe, girls who work as daily laborers, and some people despite having a family abroad work to make something of their own every day. This is not to indicate poverty doesn’t play a role. Rather, it is to point out that its role might not be as significant as we might think. Then, what is the main reason that makes people in Ethiopia beg and rely financially on others? There may not be easy answers to this question. One may list many societal factors that may have contributed to this phenomenon. And these factors may have been in play for generations to create the situation we have today. One may raise issues of culture, morality, religion, the question of individual self-worth in our society, etc. We may not know for sure. I am hoping to open a discussion forum for my readers who would like to comment on this issue and the stories I have told, so we may come up with some conclusion or suggestion in the end. Stay tuned for a follow up article. 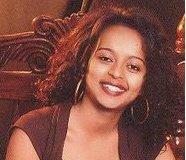 Seble Teweldebirhan is Addis Ababa based Reporter for Ezega.com. She can be reached by sending email through this form.